Based on the Toyota (lean) model, which combines operational excellence with value-based strategies to produce steady growth through a wide range of economic conditions. Lean thinkers go back to basics by asking what the customer really perceives as value. The next step is to line up value-creating activities for a specific product along a value stream while eliminating activities (usually the majority) that don’t add value. Then the lean thinker creates a flow condition in which the design and the product advance smoothly and rapidly at the pull of the customer (rather than the push of the producer). Finally, as flow and pull are implemented, the lean thinker speeds up the cycle of improvement in pursuit of perfection. 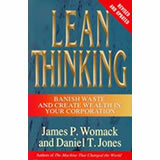 Lean Thinking offers a method of thinking, and doing for the long-term manager. Resilience: How to Thrive and Survive in Any Situation helps you to prepare for adversity by finding healthier ways of responding to stressful thoughts and feelings. You will learn a comprehensive toolkit of effective therapeutic strategies and techniques, drawing upon innovative “mindfulness and acceptance-based” approaches to cognitive-behavioural therapy (CBT), combined with elements of established psychological approaches to stress prevention and management. The book also draws upon classical Stoic philosophy to provide a wider context for resilience-building. 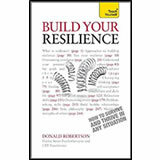 This book is a complete course in resilience training, covering everything from building long-term resilience by developing psychological flexibility, mindfulness and valued action, through specific behavioural skills such as applied relaxation, worry postponement, problem-solving, and assertiveness. Innovation is an undisputed catalyst for company growth, yet many managers across industries fail to create a climate that encourages and rewards innovation. 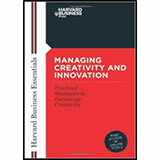 Managing Creativity and Innovation explores the manager’s role in sparking organizational creativity and offers insight into what managers and leaders must do to increase successful innovation. Contents include: Generating new ideas and recognizing opportunities; Moving innovation to market; Removing mental blocks to creativity; Establishing a strategic direction for profitable product development; Brainstorming and fostering creative conflict within groups; Creating an innovation-friendly culture. 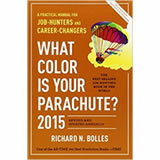 No matter what your circumstances, every job-hunter sometimes needs to find help with up-to-the-minute information on what has changed about the job-market, plus strategies for finding jobs even when everyone tells you there are none. Including up-to-date research and tips about writing impressive CVs and cover letters, doing effective networking, confident interviewing, and negotiating your salary. But it goes beyond that, in helping you to better know who you are, with its classic self-inventory called The Flower Exercise because the best answer to What shall I do? Flows from knowing who you are.